1Password is the iOS and Android app that stores all of your passwords and keeps them safe. Instead of having to remember all of those off-the-cuff passwords you registered various apps with, the only password you need to know is the one for your 1Password account. A report published today states that Apple is distributing the 1Password app to all of its 123,000+ employees, including those working inside Apple Store locations. Each employees and up to five family members will receive a free license to use 1Password. 100 employees will receive the app this week, and it will take up to three months for the remaining Apple employees to get hooked up. 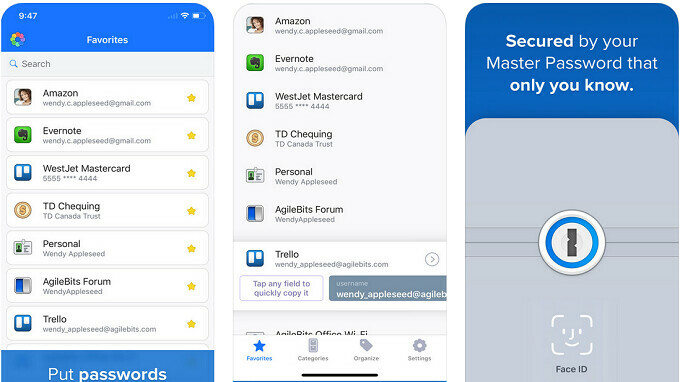 Apple requested certain perks from 1Password developer AgileBits, and the latter agreed. After all, even figuring a 50% discount off the annual $60 family subscription plan, the deal represents $2.5 million in annual revenue for the company. Last year, the company was estimated to have taken in $5 million to $10 million, so you can see how important Apple is as a customer. In fact, after the deal closed, several AgileBits executives reportedly received six-figure bonus checks, and everyone at the company found something extra in their paycheck. The deal Apple made to equip its employees led to speculation about Apple purchasing AgileBits. Supposedly, company CEO Jeff Shiner mentioned something about an "Apple acquisition" in the company's boardroom that was overheard by an anonymous source. Historically, the developer is the right size for Apple as the tech giant usually goes after smaller companies. And Apple is looking to hit $50 billion in service revenue by 2021, up 67% from the $30 billion it generated last year. Acquiring a flow of revenue tied to recurring subscription fees is one thing Apple can do to help it hit its target. But just as we were writing this article, a tweet from the 1Password Twitter account was posted containing a Twain-esque denial of any buy out. "Rumours of my acquisition are completely false. My humans and I are happily independent and plan to remain so," said the message. LOL, throw enough money at them, they'll sell, trust me.